// Making sense one utterance at a time. Formed in 1997, the band P.K.14 (Public Kingdom for Teens) to the Chinese underground is what Talking Heads is to post-punk, college rock, or the “alternative” movement in the U.S. (when “alt” still stood for financial and artistic independence from major record labels and “indie” wasn’t a marketed look). But they sound dark and moody and British, a cross between Pulp-era Jarvis Cocker, with the tortured voice wavering between a rich baritone and tenor, and Television Personalities, with their (still dark but) feel-good “part-time punk” melodic sensibility. Add to this band-founder Yang Haisong’s lyrical knack (written/sung in Chinese), P.K.14 is like a yet-undreamt dream come true. 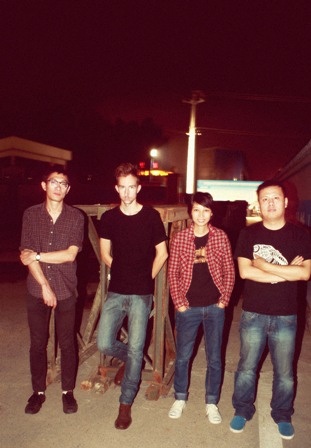 There are such exciting things happening with independent music in China, especially in the Beijing underground. 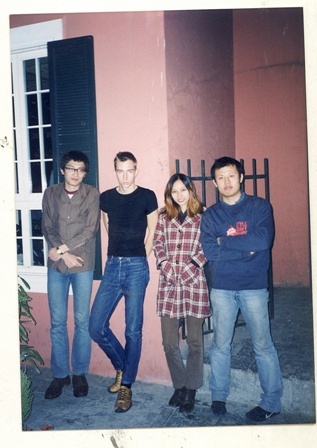 Many of the current bands, including the most well-known Carsick Cars, bear the influence of 90s US/Aussie/Kiwi indie rock (particularly Pavement), in addition of course to the classic 60s lo-fi sounds of Velvet Underground. P.K.14, the pioneers, somehow buck the trend before the trend even took off, with their affinity for British gloom. Yang and his wife, Sun Xia, also have a fuzzed-out twee/noise pop act called Dear Eloise, featuring cool female vocals by Sun. They’d fit right in on Creation or Sarah or Slumberland Records. So that’s the short intro. If you want to know more, there’s been a lot of great work done and pieces written by people who actually live in Beijing and are part of the scene. Also a wealth of materials available for streaming from labels 兵马司｜Maybe Mars and tenzenmen and 根茎｜Genjing.